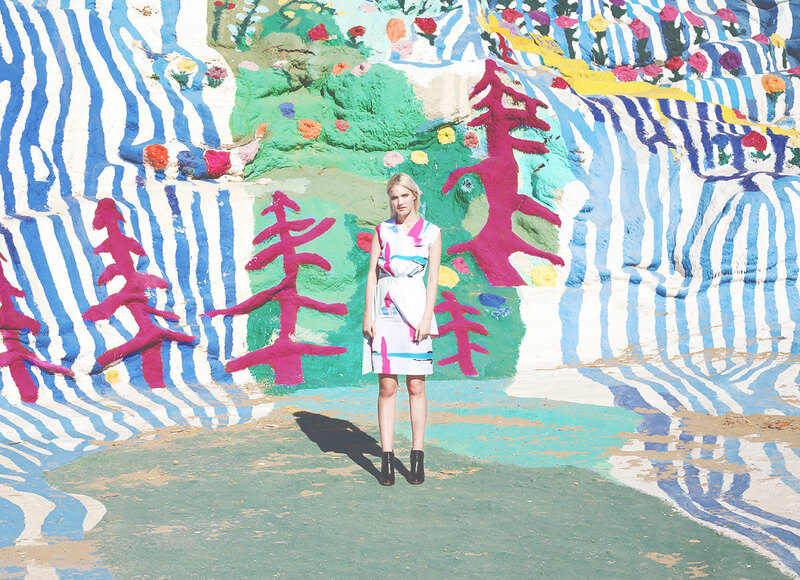 A winter pilgrimage to Salvation Mountain with the Conscious Collective crew and some beautiful made in Los Angeles designs resulted in this fun editorial. Photography and Styling: Kelsi Smith, Laura Cuellar. I// Dress: Vivian Chan, Headband: Bijou Van Ness. II// Dress: William Bradley. III// Jumpsuit: Vivian Chan. IV// Dress: Vivian Chan, Headband: Bijou Van Ness. V// Dress: William Bradley. VI// Romper: Vivian Chan, Hat: Bijou Van Ness.